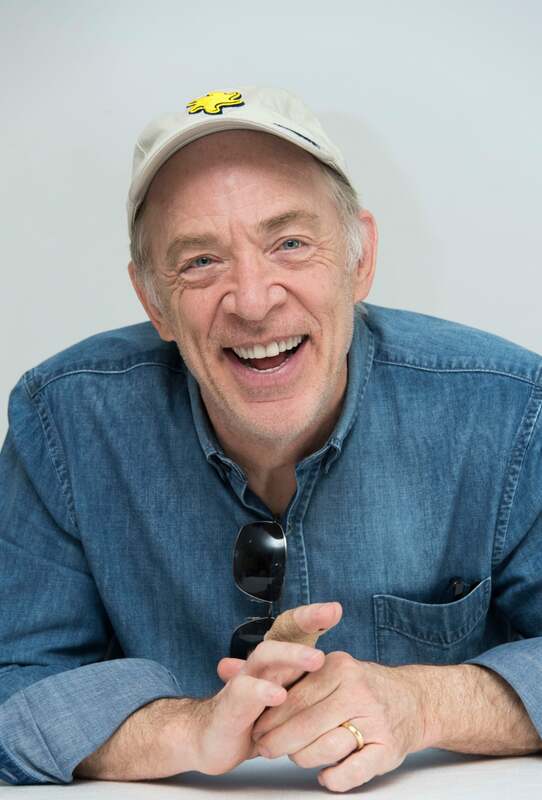 When Golden Globe winner J.K. Simmons first read the script for the series Counterpart he didn’t know (SPOILER ALERT) that there were two versions of Howard, two spies are living on opposite sides of a parallel dimension. “I always prefer to read a script without a synopsis or any information going in. I thought there was this guy. His name is Howard Silk, he was kind of a sad sack and a kind, gentle guy. And then page 20 we suddenly meet his counterpart and my mind was blown and I realized oh, this is going to be twice the work,” he tells HFPA journalist Vera Anderson. He moved to Seattle and started auditioning. He got parts in musicals and plays. “I began to develop a pretty well-rounded resume before I moved to New York where I continued to do regional theater. I would get a job in Buffalo, Atlanta, Boston or Pittsburgh and go off and do a play for a couple months and come back and wait tables for as long as it took before I got another job. Then the first half of the 90’s I spent on Broadway. Once I realized that doing the same show eight times a week for a year could get slightly tedious I told my agent I wanted to really concentrate on trying to get some film and television. I wanted to have more variety and possibly even get a residual check once in a while. Listen to the podcast and hear why he is excited about the second season of Counterpart; why he almost didn’t do Counterpart; how his hairstyle affected his life in 1969; when he became a true Sinfonian; what answer he stole from Mark Ruffalo; when was the last time he was on stage; where he would like to do theater; how he got his SAG card from the work he didn’t do; what color of M&M's he has done the voice for over 20 years; why he is proud of lending his voice to video game Portal 2; when moved to Los Angeles; how the success of Whiplash changed his life; what is his take on roles that are based on real-life characters; why he is apolitical; and what he watches on TV.